Sterling traded on the back foot on Thursday as the US dollar enjoyed a broad rebound following slight selling during the prior session, helped perhaps by slightly dovish headlines from a speech by European Central Bank governor, Mario Draghi. As of 1843 GMT and ahead of the US central bank's policy announcement, the US dollar spot index was climbing 0.43% to 96.4090, adding 0.35% against both the pound and the euro in the process to change hands at 1.30935 and 1.13997, respectively. In particular, investor attention was focused on whether rate-setters in the States would drop a heavy hint that a December rate hike was very likely on the cards. Some analysts also believed that policymakers on the Potomac would discuss their target for the ultimate size of their balance sheet windown at Thursday's meeting, although that might not become apaprent until the release of the meeting minutes. Yet following Tuesday's midterm elections the chances of an additional near-term increase in fiscal stimulus appeared to have disappeared. Significantly for the euro, as well as the pound, in remarks to Irish lawmakers, Draghi reportedly said the ECB could always change its policy guidance if necessary. Nevertheless, by and large, Draghi sounded a confident note on the economic outlook, with Reuters reporting that he had said that: While some sector-specific data and selected survey results have been somewhat weaker than expected, the latest incoming information overall suggests that the broad-based expansion in the euro area, and in Ireland, is set to continue." 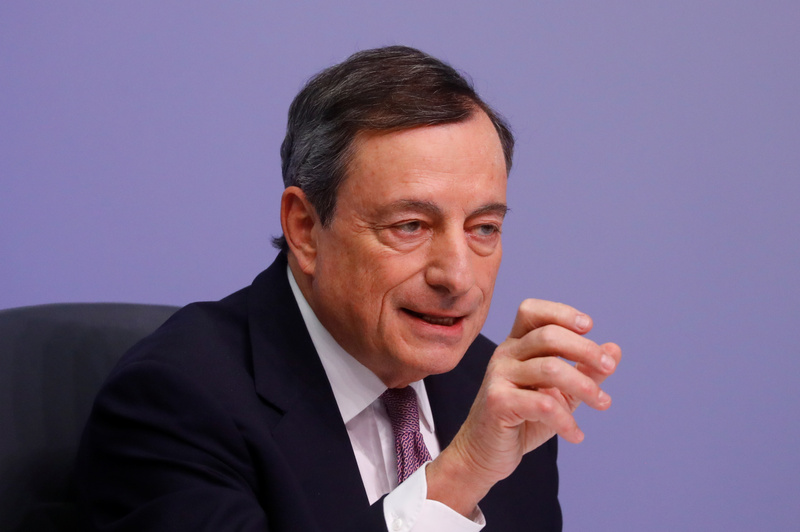 Draghi reportedly also said that Ireland should make the most of the current circumstances in order to rebuild its fiscal buffers to guard against future risks, including Brexit. The ECB's president reportedly said the latter was bound to be significant. Dollar/yen meanwhile was adding 0.33% to 113.896. In the emerging markets space, the Greenback was higher by 0.89% against the Russian rouble at 66.8242. Reuters had reported that the Central Bank of Russia's head of research had described the monetary authority's September hike as a "one-off". On a different note, Sputnik cited CBR Governor Elvira Nabiullina as having held out the possibility of an acceleration in the rate of growth of Russian GDP from between 1.5% to 2.0% in 2018 to 3.0% in 2021 "in case of successful implementation of the government's planned economic policy measures". Other local reports also had Nabiullina down as having said that a scenario of sharply lower oil prices in 2019 was unlikely, with the Governor reportedly adding that Russians should not be overly concerned by higher interest rates, as the risk of significant future hikes had in fact decreased. Emerging market currencies were generally lower, with the Turkish lira retreating by 1.80% versus the US dollar and Mexico's peso surrendering 1.12% to 20.0916. The Brazilian real on the other hand was steady against the US dollar at 3.7401.